Mary E. Rice received the Drew University Alumni Achievement Award in Science and the Harbor Branch Oceanographic Institute Leadership and Achievement Award. 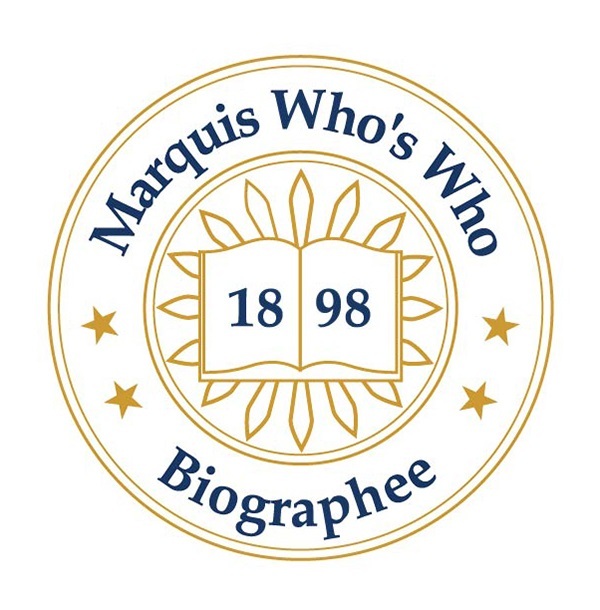 FORT PIERCE, FL, March 22, 2019 — Marquis Who's Who, the world's premier publisher of biographical profiles, is proud to present Mary Rice, Ph.D., with the Albert Nelson Marquis Lifetime Achievement Award. An accomplished listee, Dr. Rice celebrates many years of experience in her professional network, and has been noted for achievements, leadership qualities, and the credentials and successes she has accrued in her field. As in all Marquis Who's Who biographical volumes, individuals profiled are selected on the basis of current reference value. Factors such as position, noteworthy accomplishments, visibility, and prominence in a field are all taken into account during the selection process. With more than 40 years of professional experience, Dr. Rice has been recognized as senior research scientist emeritus of the Smithsonian Marine Station of the Smithsonian Institution in Washington, D.C., since 2002. Prior to her retirement, she was director of the Marine Station and curator of invertebrate zoology from 1966 to 2002. From 1953 to 1961, she worked as a research assistant at the National Institutes of Health in Bethesda, Maryland, and from 1950 to 1953 she served as a research associate at Columbia University in New York City. Earlier in her career, Dr. Rice was a biology instructor at Drew University in Madison, New Jersey, from 1949 to 1950. Dr. Rice began her career as a student at Drew University, where she received a Bachelor of Arts in 1947. She then joined Oberlin College in Oberlin, Ohio, completing a Master of Arts in 1949. After obtaining some experience in the field, Dr. Rice returned to her studies at the University of Washington in Seattle, earning a Doctor of Philosophy in 1966. A respected voice in her areas of expertise, Dr. Rice has been an active leader in her community as well. A fellow of the American Association for the Advancement of Science, she is the former president of The Society for Integrative & Comparative Biology and the American Microscopical Society. She also holds membership with The Phi Beta Kappa Society and Sigma Xi. A contributor of articles and editor of professional journals, Dr. Rice has written extensively in her field. Throughout her career, Dr. Rice has been recognized for her many accomplishments. She received the Drew University Alumni Achievement Award in Science and the Harbor Branch Oceanographic Institute Leadership and Achievement Award. Dr. Rice has been featured in numerous honors publications, including multiple editions of Who's Who in America, Who's Who in Medicine and Healthcare, Who's Who in Science and Engineering, Who's Who in the South and Southwest, Who's Who in the World and Who's Who of American Women. In recognition of outstanding contributions to her profession and the Marquis Who's Who community, Dr. Rice has been featured on the Albert Nelson Marquis Lifetime Achievement website. Please visit www.ltachievers.com for more information about this honor.